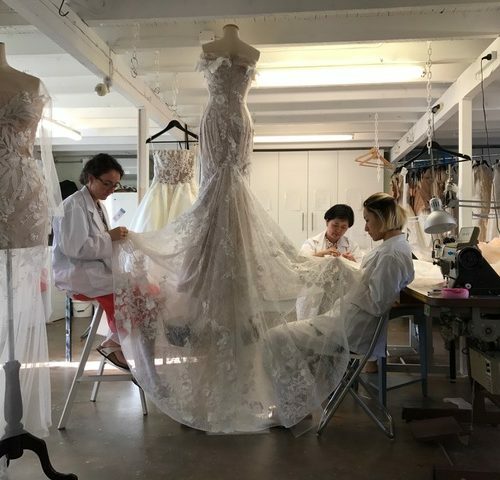 If you are a bride looking for a hand crafted masterpiece of a wedding gown, please do yourself a favor and look up George Wu, one of Australia’s leading designers. David and i had the absolute pleasure of meeting George at Brisbane’s One Fine Day event this year where we were placed across from each other as exhibitors. His pieces were absolutely unique and exquisitely handcrafted, i could not keep my eyes off them. I watched George effortlessly speak with each bride exuding such an effervescence and joy that was quite frankly contagious. We both had to speak with him! When there was a break in the crowd, we went over to speak with him and were met with the most humble, kind and encouraging man. George is a true talent, a man who sees beauty and knows how to translate that beauty in some of the most exquisite gowns i have ever seen. Man did they look amazing on that incredible runway at GOMA. Tell us a few tidbits about you. How did you get into Couturier? I have always loved the idea of creating clothes, learning the technical side of the fashion business is my passion. The more I learnt about the making of the clothes I felt I know so little about the techniques. 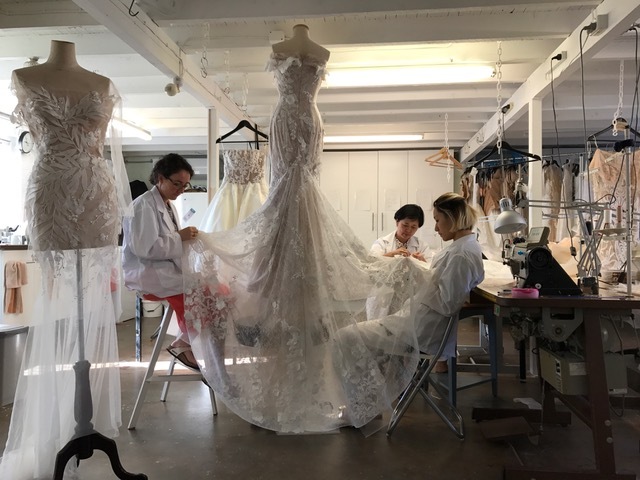 To this day, I am still learning by experimenting and curating information from different sources to make sure we can create couture dresses that gives audiences a sense of fantasy. It’s this eagerness to learn and to innovate is what kept me in the world of couture. What’s the story behind George Wu Couture? To innovate, to create fantasy and to curate all the old world couture knowledge technically, so that one day I could run an education institution to pass on all my skills to the next generation. Challenge myself and see if we can create something that others can’t, this really gives you a sense of achievement when you know you can be better each year seasons after seasons. 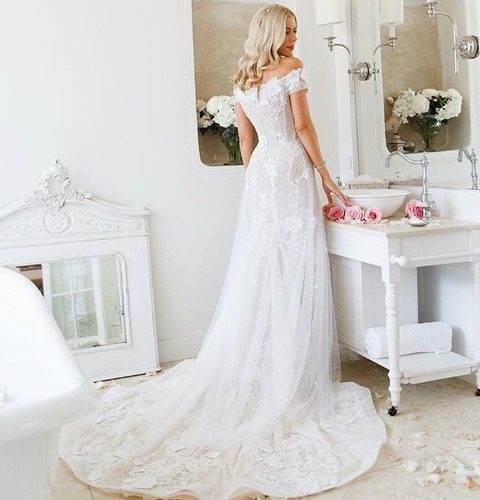 When world renowned illustrator Kerrie Hess approached me to design and make her wedding dress, that was an amazing feeling because the art she creates really echoes with my love of effortless beauty. What are your three absolute FAVORITE parts of your job? Creating something unique with my clients, get to see amazing fabrics and seeing my team feeling proud of what they create. It’s Sunday Morning (and you have the day off). What would we find you doing? Researching online and studying how the greatest couturiers in the world create their work of art. When you love what you do, you don’t feel like it’s work…. It’s passion. 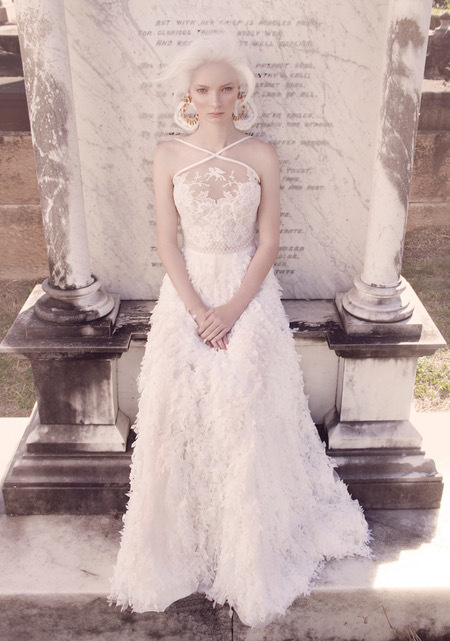 There are a lot of beautiful gowns out there but it could be just a look, a style. Couture is not about just the look, there are lots of secrets that makes your body looking amazing, and the thoughts that goes into these secrets are what makes it “couture”. Though the word “couture” has been so abused, it’s hard for clients to know the differences so my advice is to do a lot of homework, it’s also an amazing experience of learning about the art of clothing. Create something unique for the beautiful women walking on the Oscars red carpet event. Gianni Versace is definitely my ultimate inspiration because their techniques are just out of this world and the thoughts that goes behind the making of couture is very innovate. It’s not just the design but it’s what’s inside the dresses.